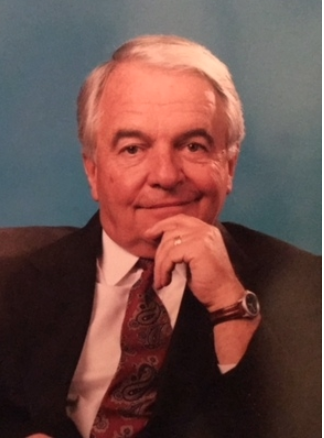 Herman E. “Karl” Day, Jr., 82, of Greer, SC, passed away on June 22. Karl was born in Flint, MI, to Herman Eugene and Florence Ford Day. In 1957, he graduated from the U.S. Military Academy at West Point with a bachelor’s degree in engineering, a devotion to America and a zest for life. Herman E. (“Karl”) Day Jr., 82, passed away June 22. A memorial service will be held Aug. 9. Entering active duty as a 2nd lieutenant, Karl was an Army Ranger, Green Beret, as well as a member of the 82nd Airborne Division and the 10th Special Forces Group in Germany. He earned a masters in engineering at Michigan State and returned to West Point, where he taught ordinance courses and two electives for senior cadets on several subjects — propulsion, ballistics, automotive, and materials engineering — the only department officer qualified to do so. In 1967, Karl took command of a Logistical Support Group in Vietnam’s Mekong Delta in support of the 9th Infantry Division “Riverine Force” and, following January 1968’s Tet Offensive, was awarded the Bronze Star for meritorious service. He was honorably discharged in July 1968 as a major. — This obituary previously was published in the Greenville News. Karl moved to Atlanta, and, having earned his private pilot’s license at West Point, began a 22-year career selling for such prestigious brands as Learjet, Beechcraft Bonanza, King Air, Piaggio Avanti, Lockheed, Airbus, Fokker Aircraft Corp and British Aerospace. He then spent the final nine years of his career as a writer for the Family Research Council (FRC) in Washington, DC, and served as their editor for the Washington Watch Newsletter, where his final workday was 9.11.2001. Karl was a tenor soloist blessed with a beautiful voice that graced leading rolls in musicals including “The Mikado” “The Pirates of Penzance” “Kiss Me Kate” and “Pajama Game,” as well as high school and college glee clubs, Robert Shaw’s Atlanta Symphony Chorus, Fletcher Wolfe’s Chorale, The National Christian Choir and, in his younger years, churches throughout the land. He retired to Greenville, SC in 2001 where he continued to fervently write in support of traditional conservative values. Karl had a passion for racing sports cars, driving motorcycles, steering boats, reading good books, enjoying classical music, piloting and jumping out of airplanes and traveling the world. Karl was a lifetime member of and instructor for the NRA. During his D.C. years he participated annually in the March for Life and the Rolling Thunder Rally. Karl Day lived a very full life until his health began to decline a few years ago. Because he had two engineering degrees, and because his failing health never deterred him, things rarely remained broken in his household for more than 20 minutes. Until very recently, he was at his heart-life gym class three times per week. Four days before he passed away, Karl shared his testimony with church friends who had gathered for fellowship in the home of one of their Life Group leaders. Karl recalled how he came to faith in Christ at age 9 and then, in 1984 at age 49, rededicated his life at a men’s faith retreat in Darien, CT.
Karl participated weekly in a Christian men’s fellowship. He loved the Lord, and he loved his family and his friends. Karl Day would have willingly sacrificed his own life trying to protect them, and he would’ve voluntarily done the same trying to save even a stranger. Although his physical heart finally gave out, his brave heart will forever live on in our memories of this remarkable man. He is survived by his wife of 39 years, Samantha; four children: Laura Day Calk (Dr. Tom Calk) of Atlanta; Michael Day of Columbus, GA; Nancy Day Gallun (Greg Gallun) of Santa Ynez, CA; and Matthew Day of Simpsonville, SC; his brother, Thomas Day (Julia) of Buford, GA and his first wife and lifelong friend, Molly Day Rose (Dave) of Columbus, GA. He is also survived by seven grandchildren: Everarde, Adrienne, and Frederick Calk; Allison and Alexander Day; Conrad and Austin Gallun, as well as many extended family members and friends. A memorial service will be held at 2 p.m. Thursday, Aug. 9, 2018 at Taylors First Baptist Church Worship Center. Visitation will be held from 12:45 to 1:45 p.m., prior to the service in the Welcome Center. An inurnment ceremony will be held at Arlington National Cemetery later this year. In lieu of flowers, memorials may be made to Taylors First Baptist Church, 200 W. Main St, Taylors, SC 29687; the Greenville Chorale, PO Box 16851, Greenville, SC 29606; or to your charity of choice. Frank Grunert, 79, passed away on July 5, 2018 at Mountain Valley Hospice Facility in Gloversville, NY from complications following a motor vehicle/pedestrian accident. Frank was born on June 20, 1939 in Greenwich, the son of the late Robert and Constance (Wilkins) Grunert.